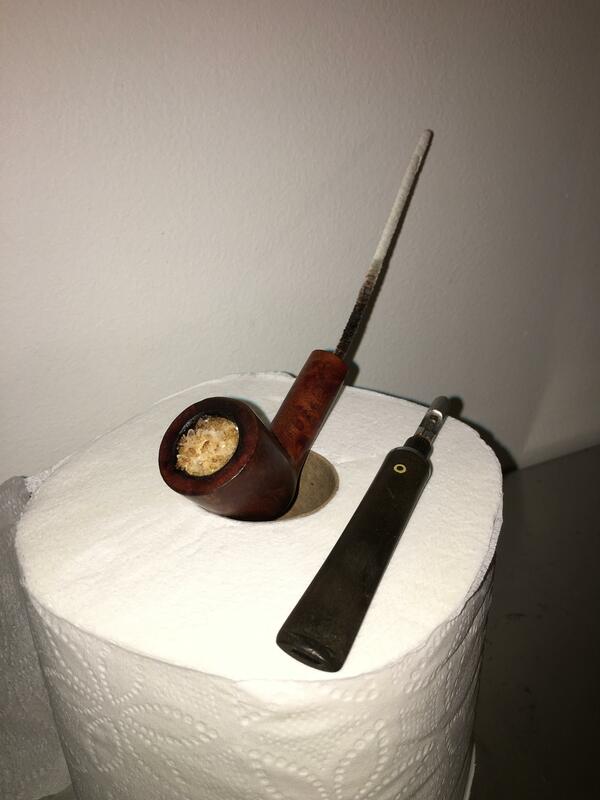 Picked up a few new pipes over the past few weeks, just rebuilding my rotation after a 9 year layoff and trying out makers/styles/shapes to see what suits me. First up is a KBB Yello-bole Dublin that I snagged for $12.50 shipped. Tiny little thing and it reeked when I got it so decided to take on my first salt-alcohol treatment with Everclear and lots and lots of pipe cleaners through the stem. Had a nice 1/4" cake that needed reaming too. Smells better after a day and it's been resting for a day now, so we will see how it smokes tonight! 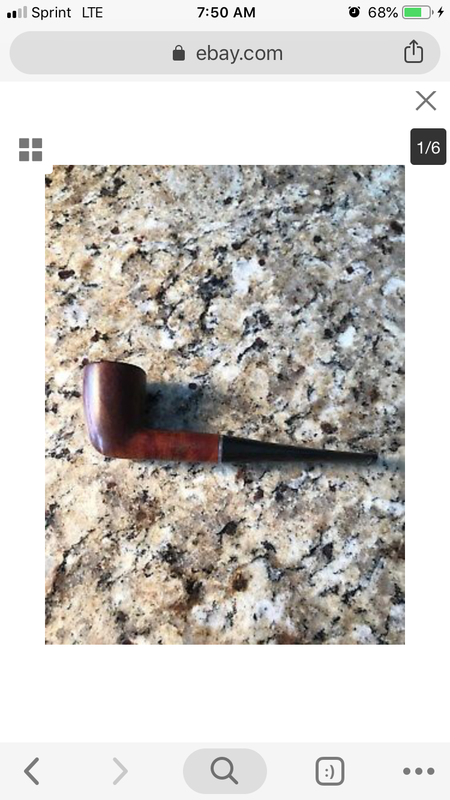 Stem has some kind of gunk on it with fingerprints so I think the original owner Must've used some wax to try to keep the stem nice - don't think it's a vulcanite stem since it feels harder and isn't oxidized at all. I like Yello-Boles and think they are an underappreciated brand. Good catch! Nice pipe! Could be that it is Vulcanite, but it is of the higher quality variety. It also is possible that S.M. 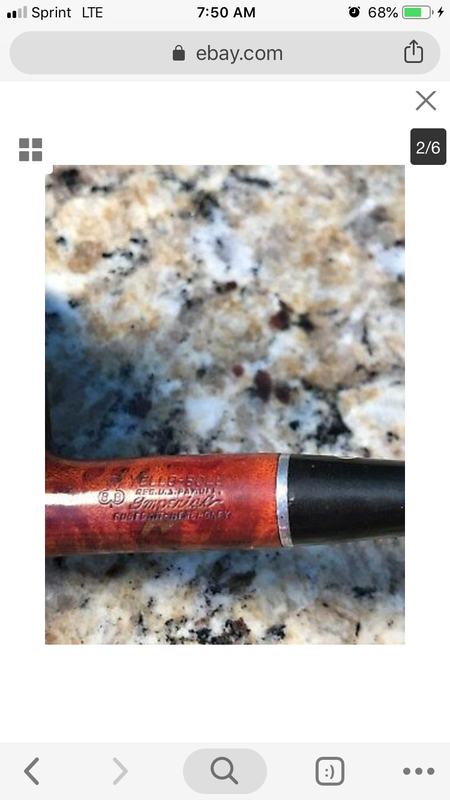 Frank used Nylon on some of the Yello Bole pipes like they did on their Medico line. I am not well versed enough in all their different lines to say so for sure though. I'll +1 this. My only complaint with yellow bowls was the big yellow O logo on their stems. It turned some of their classy looking pipes into cartoon-ish looking things. I had a great looking bent with a thick shank, thick stem, gorgeous birdseye and no pits... this bowl was absolutely beautiful. And then it had this huge yellow Herbie-the-love-bug sized O drawing attention from it all. I mean I could have flagged airplanes with this huge yellow O! Compared to other yellow bowl stems this O definitely looked enlarged. I figure maybe they increased the size of this O to adjust for this thicker stem. Too bad this was before I had my blank stem supply and could have replaced it. I just couldn't see myself ever smoking it outside the garage and ended up letting it go. Last edited by Longshanks on Wed Feb 06, 2019 2:41 pm, edited 1 time in total. I had a great looking bent with a thick shank, thick stem, gorgeous birdseye and no pits... this bowl was absolutely beautiful. And then it had this huge yellow Herbie-the-love-bug sized O drawing attention from it all. I mean I could have flagged airplanes with this huge yellow O! Compared to other yellow bowl stems I figure like they increased the size of this O to adjust for the thicker stem. Sadly, this was before I had my blank stem supply and could have replaced it. I just couldn't see myself ever smoking it outside the garage, so I let it go. LOL... I was thinking about that, too. 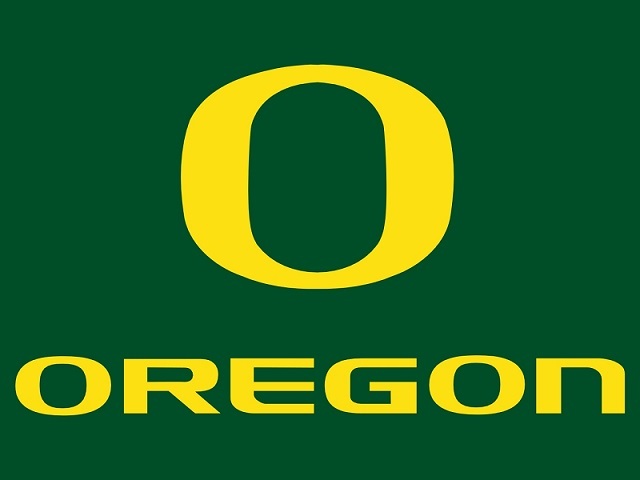 In fact I was going to mention if I was a sports fan of a team with a large yellow O, I would have kept it. 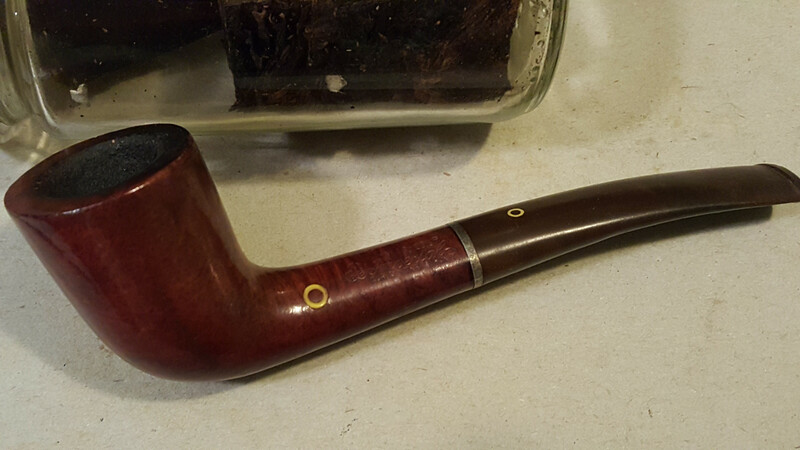 Yello Bole was sort of started as a way to sell the briar that didn't meet KW standards at the time. Some real gems can be found. That's a nice one and being an Imperial I'm betting the stem is Vulcanite a former owner waxed with Carnauba. Think I'm down to one Yello Bole and it's still on the to do rack but it's also an Imperial, with Vulcanite stem(note the lack of oxidation, KW quality rubber), and ties into the side discussion about the merits of the yello O. This one has two and is a keeper, I'll get around to it one day. Yep, O in the shank is definitely a keeper.